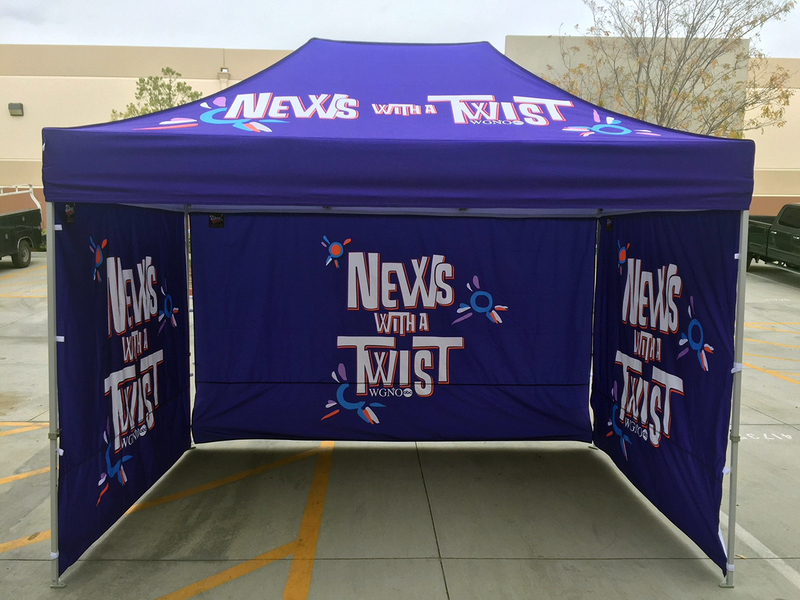 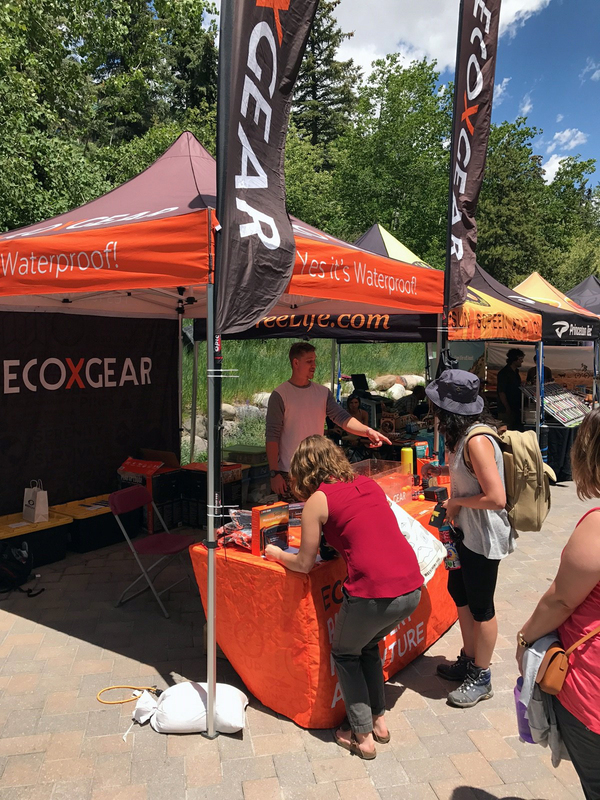 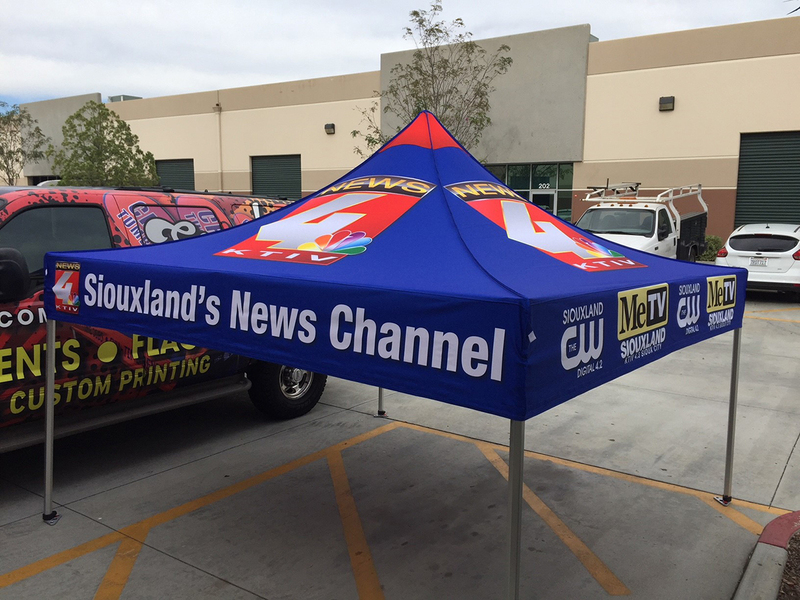 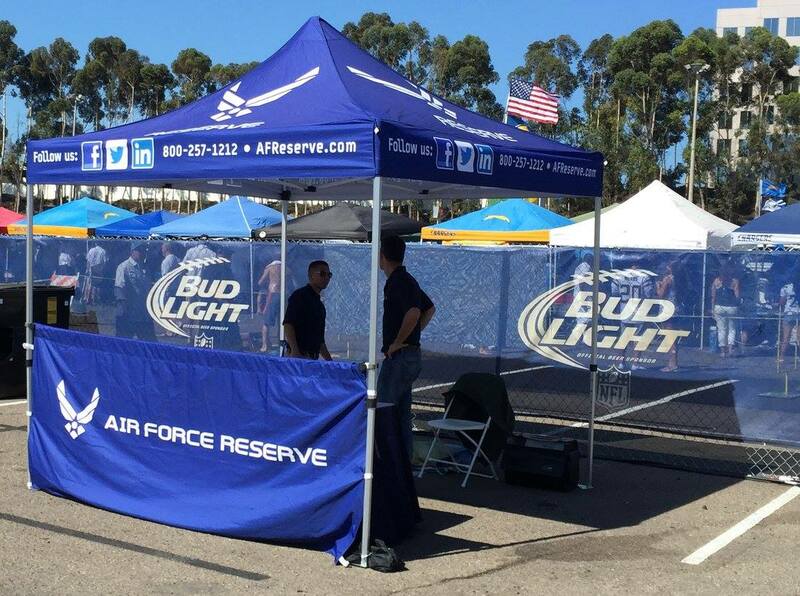 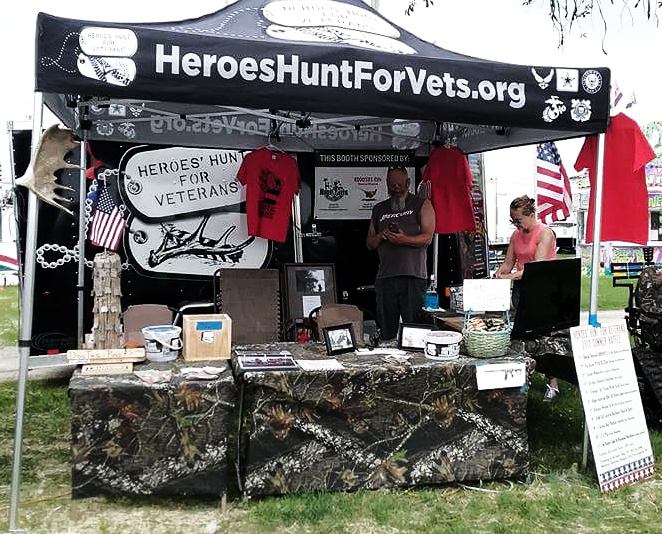 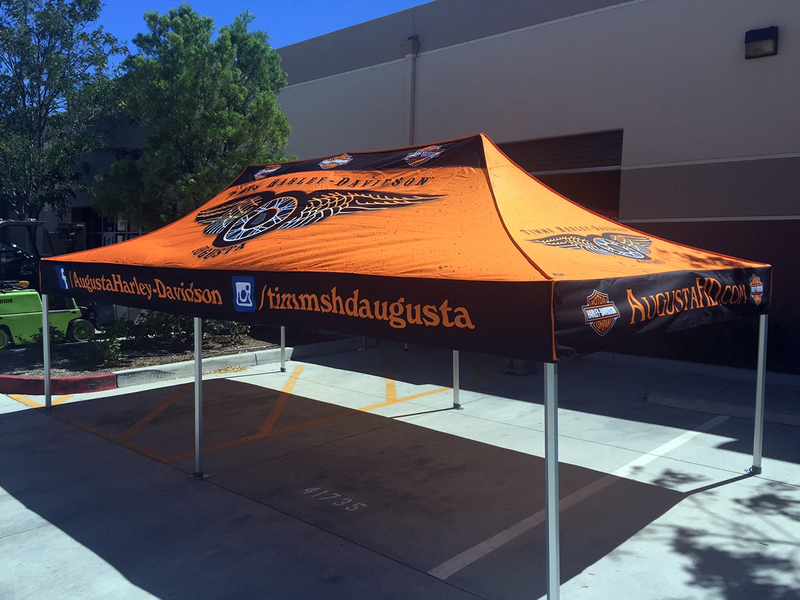 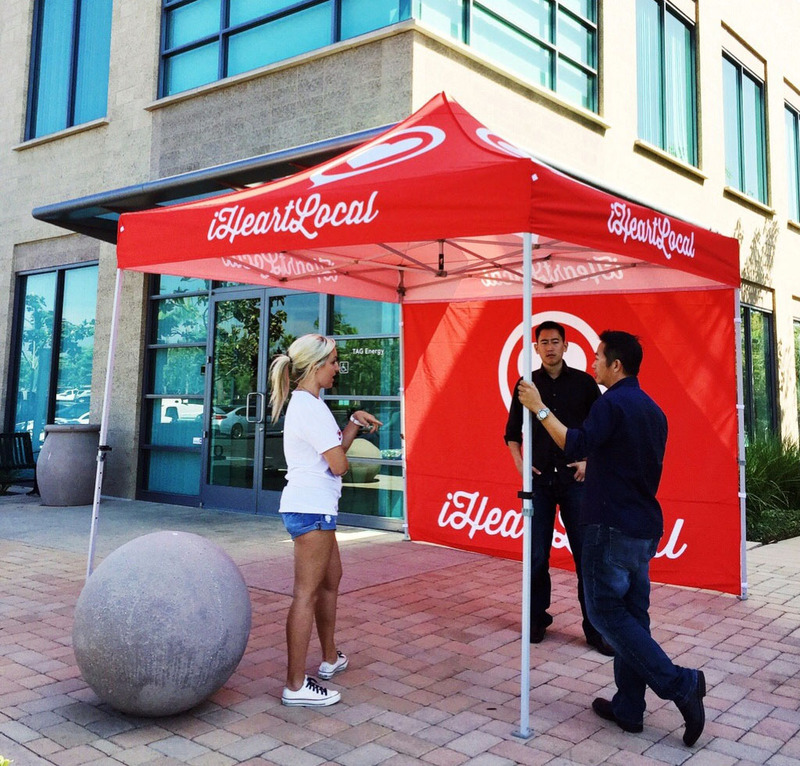 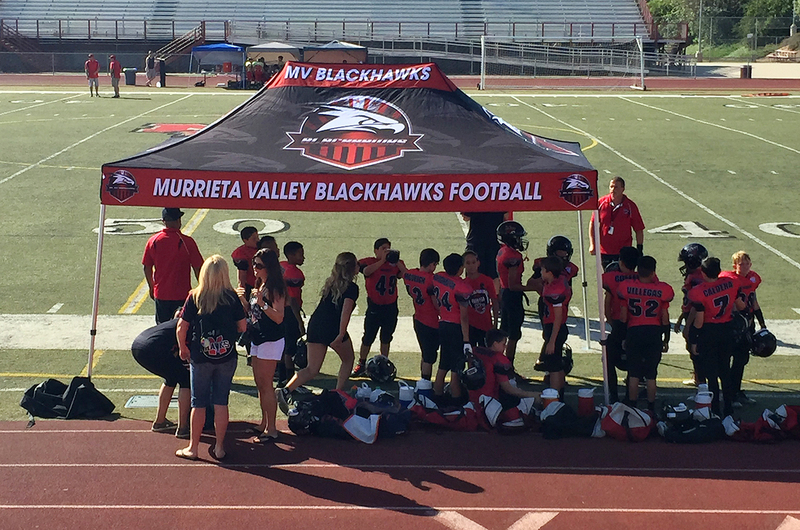 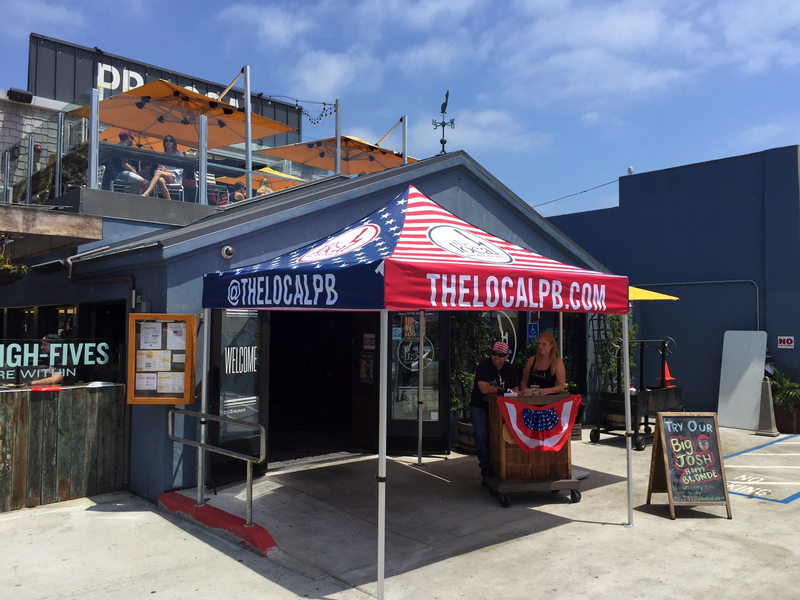 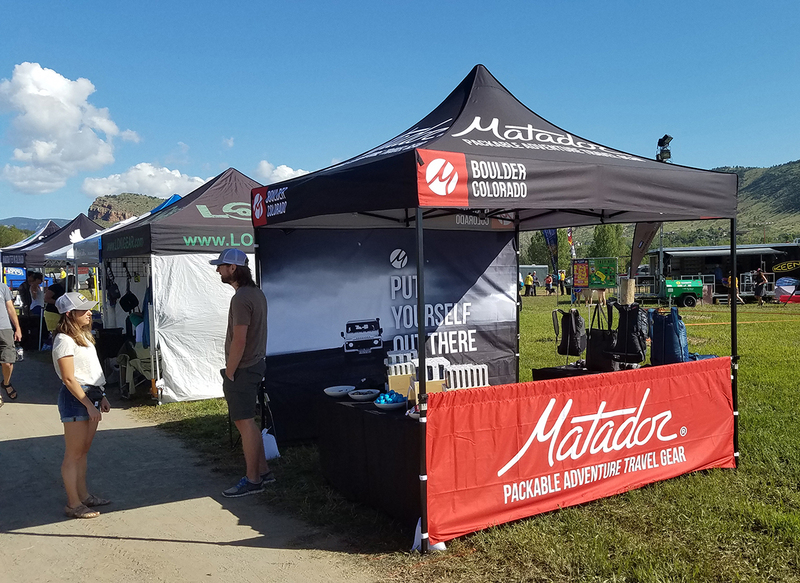 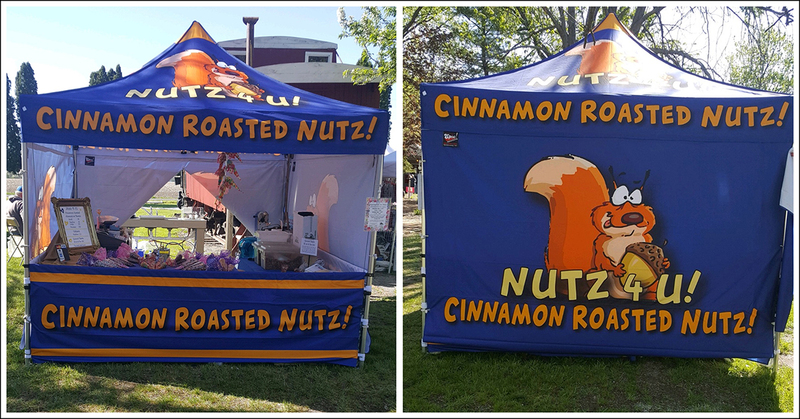 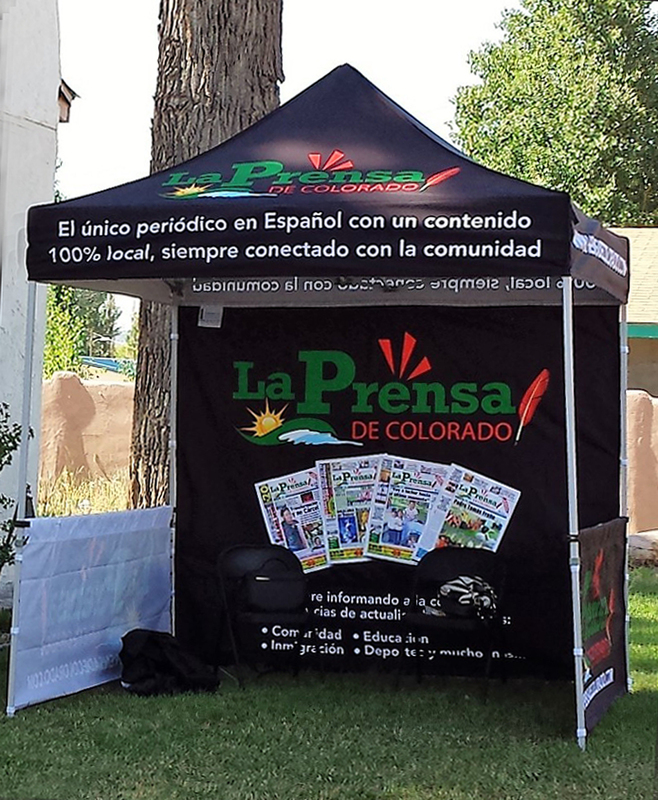 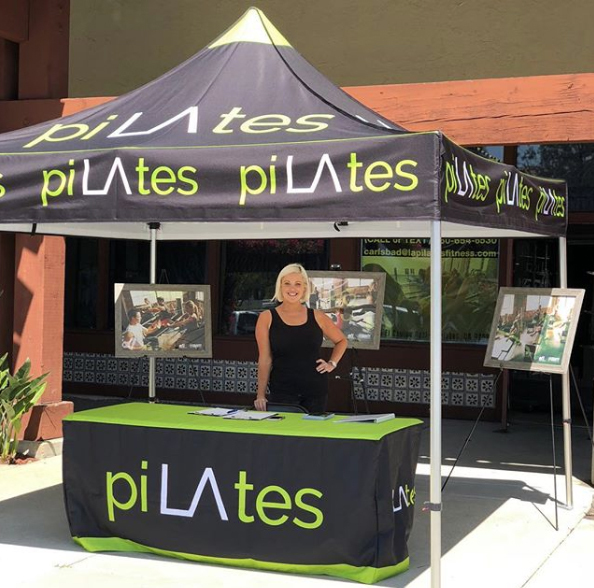 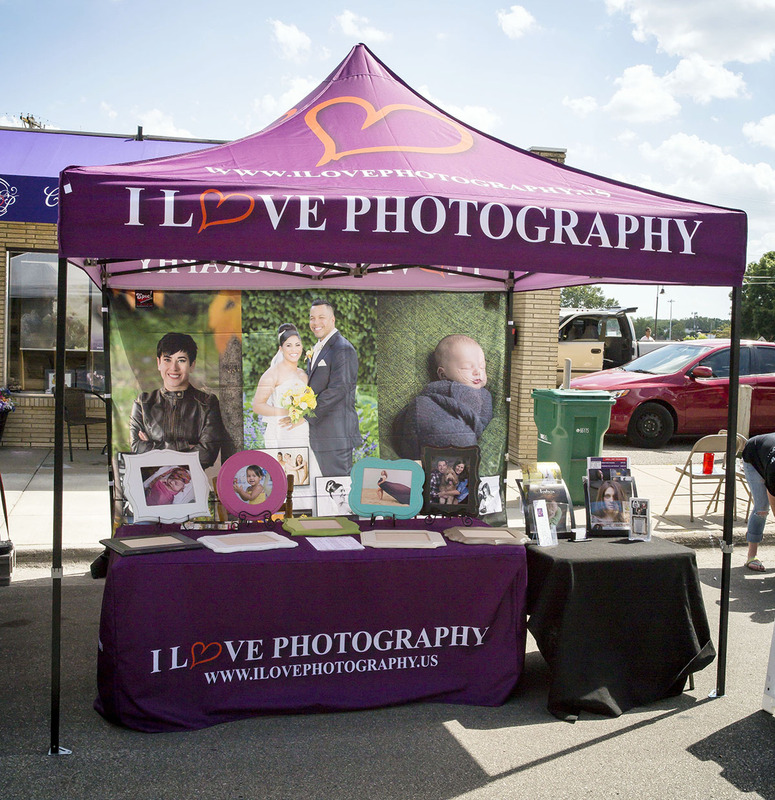 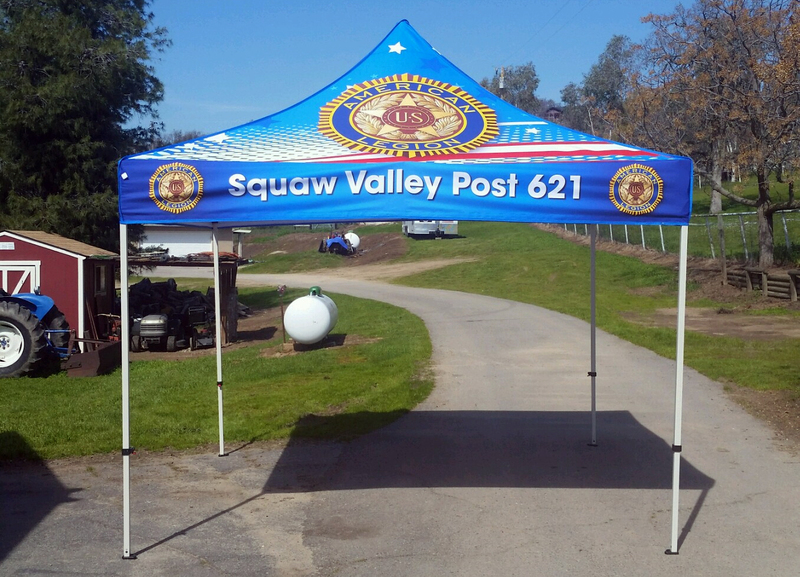 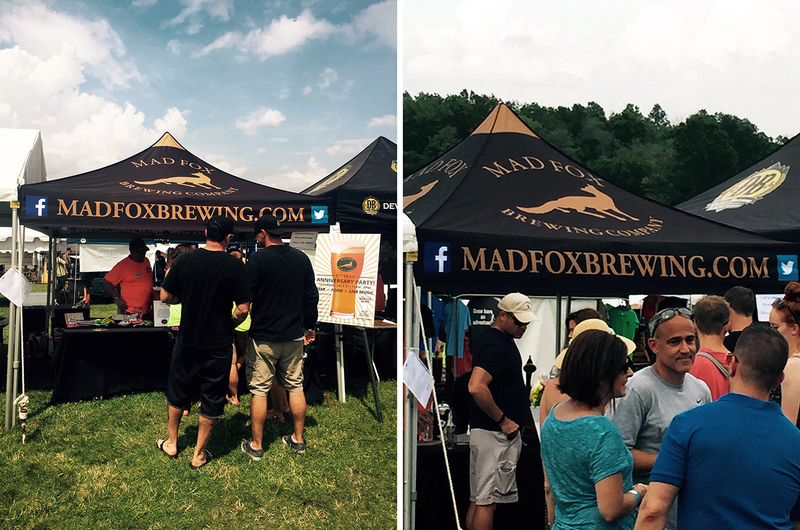 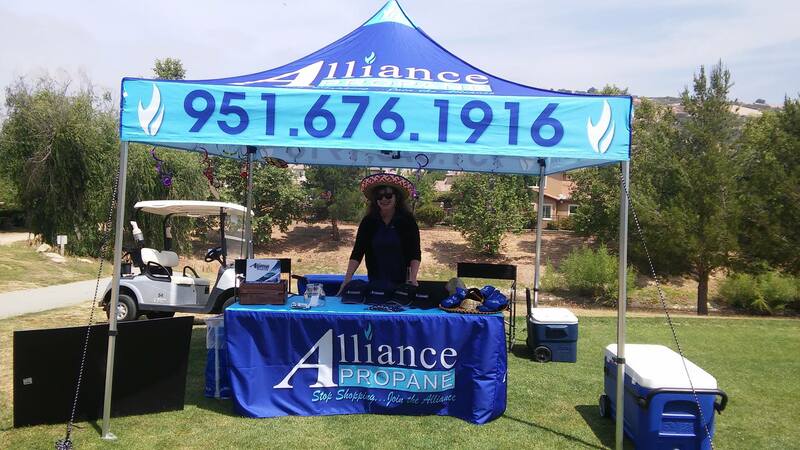 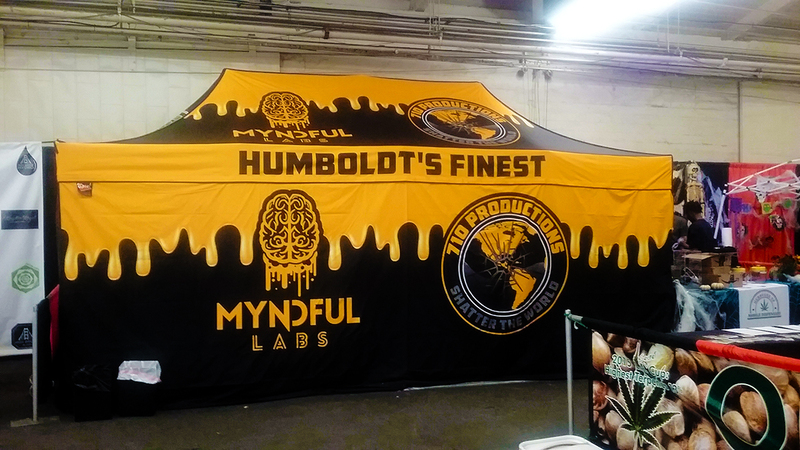 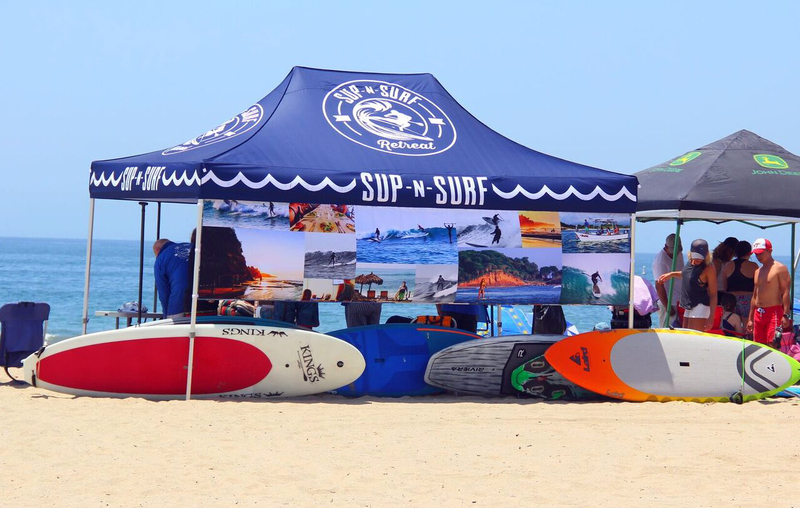 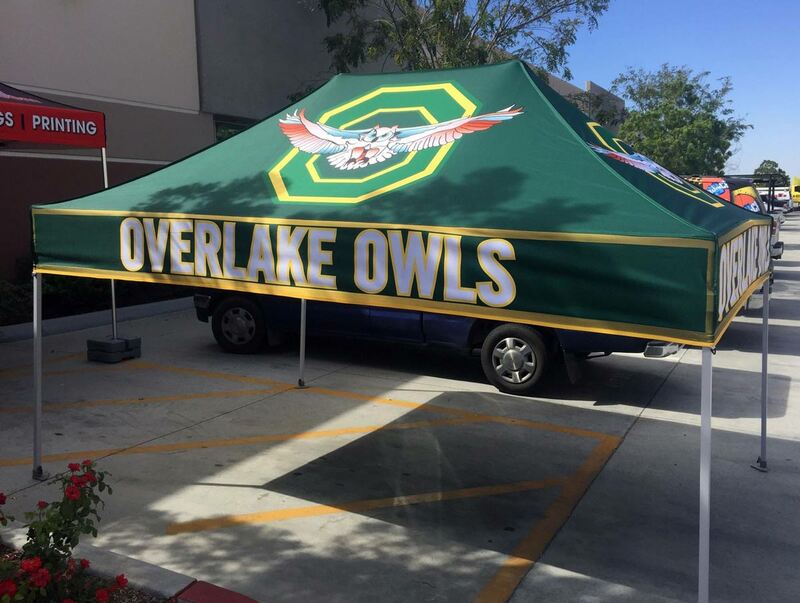 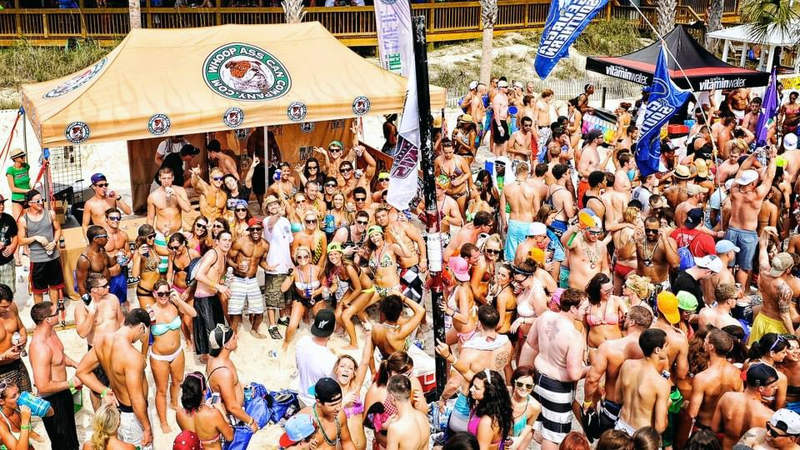 Our custom printed tents get brands and businesses noticed, while also being the most durable, vibrant, and functional canopies on the market. 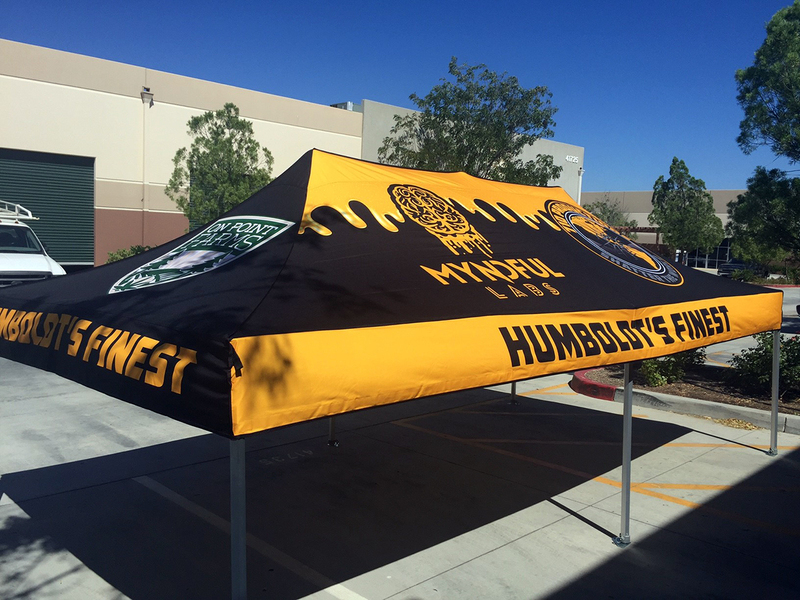 This is accomplished by using the highest quality tent fabric materials, that are rated as fire retardant, water repellent, and UV coated. 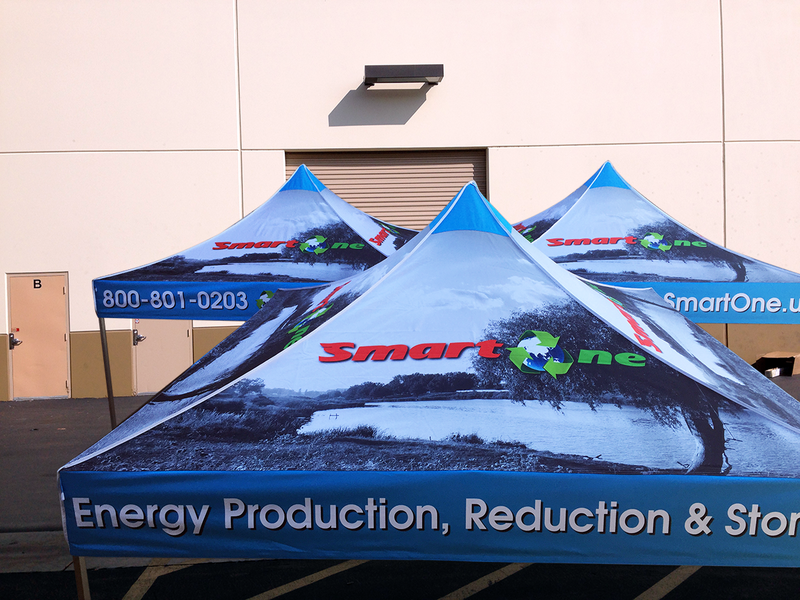 We produce custom tents in over 10 different sizes, from 5' sizes up to over 20' in size. 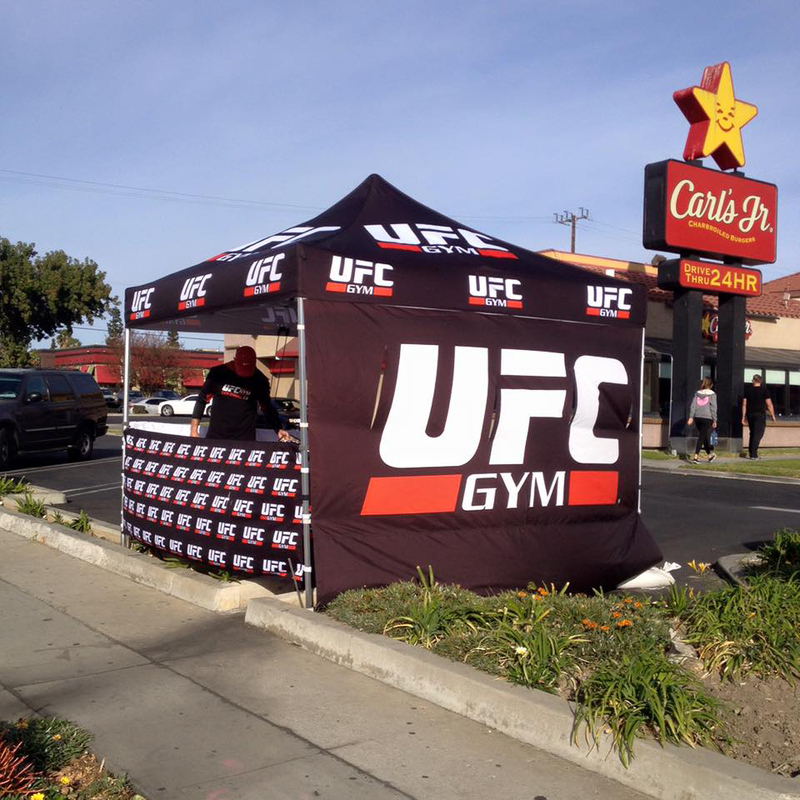 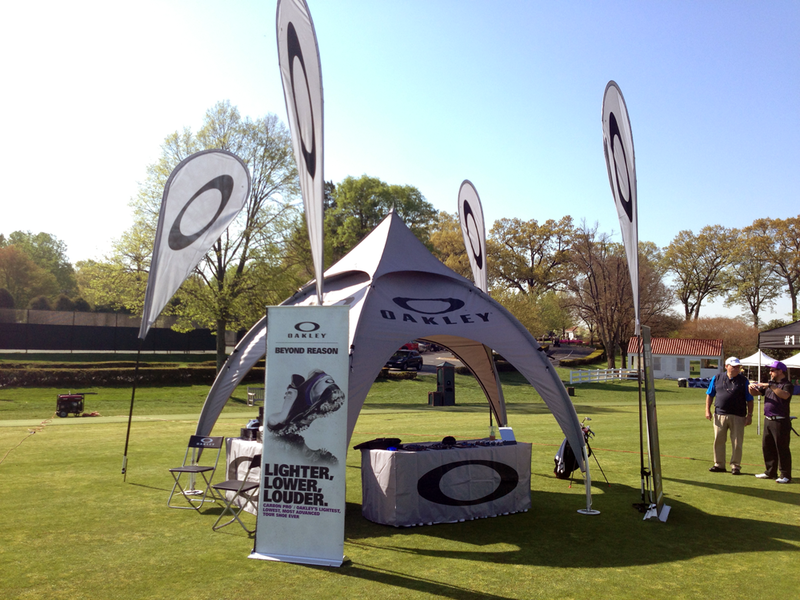 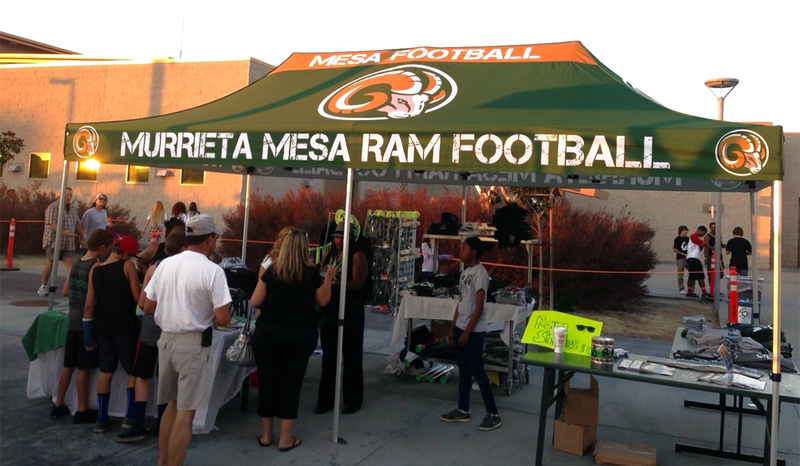 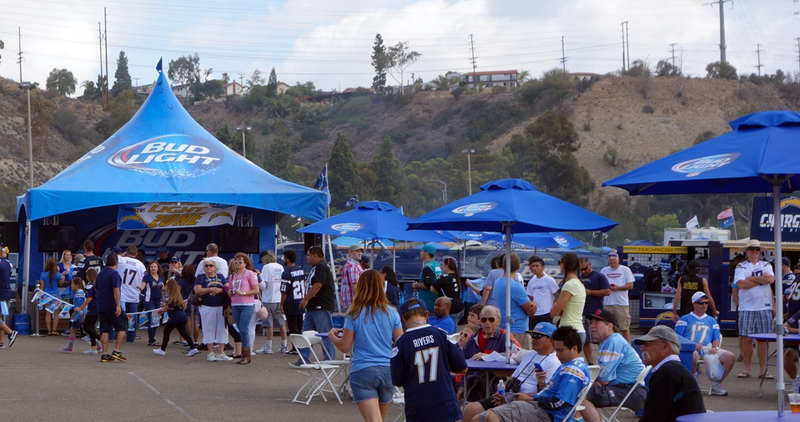 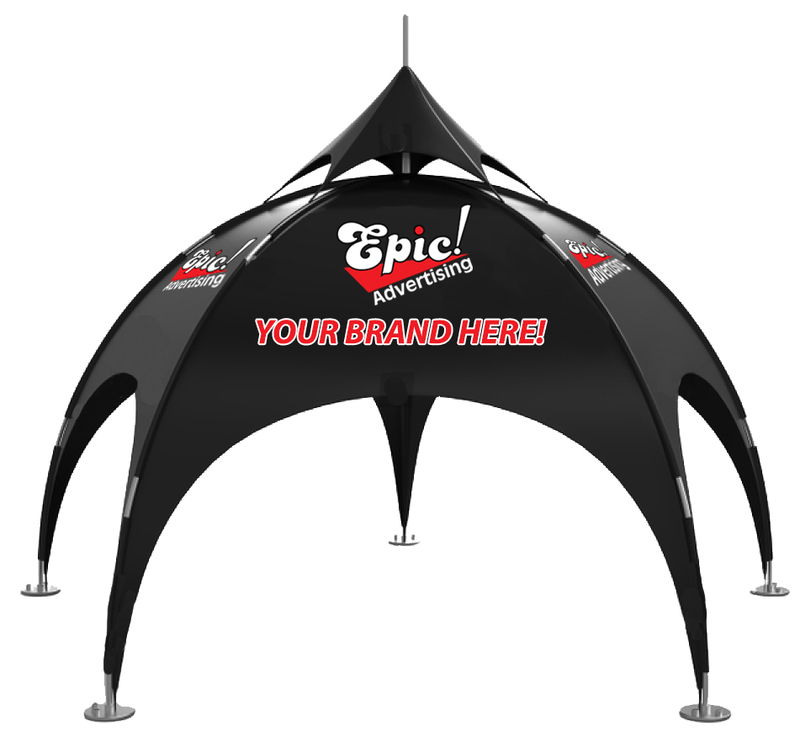 Custom Logo Tents by Epic Advertising allow for graphics on every side of the canopy tent top. 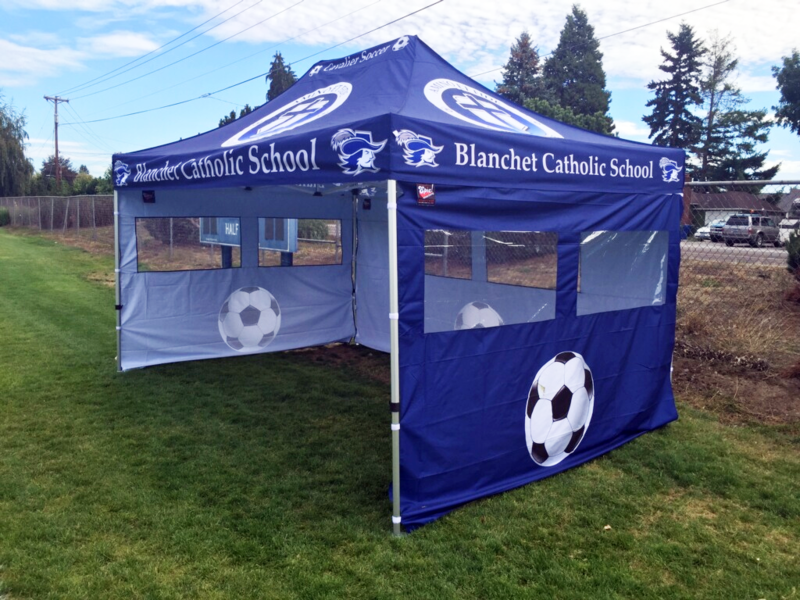 There are no limitations to the customization and the graphics you can have on your canopy and tent walls. 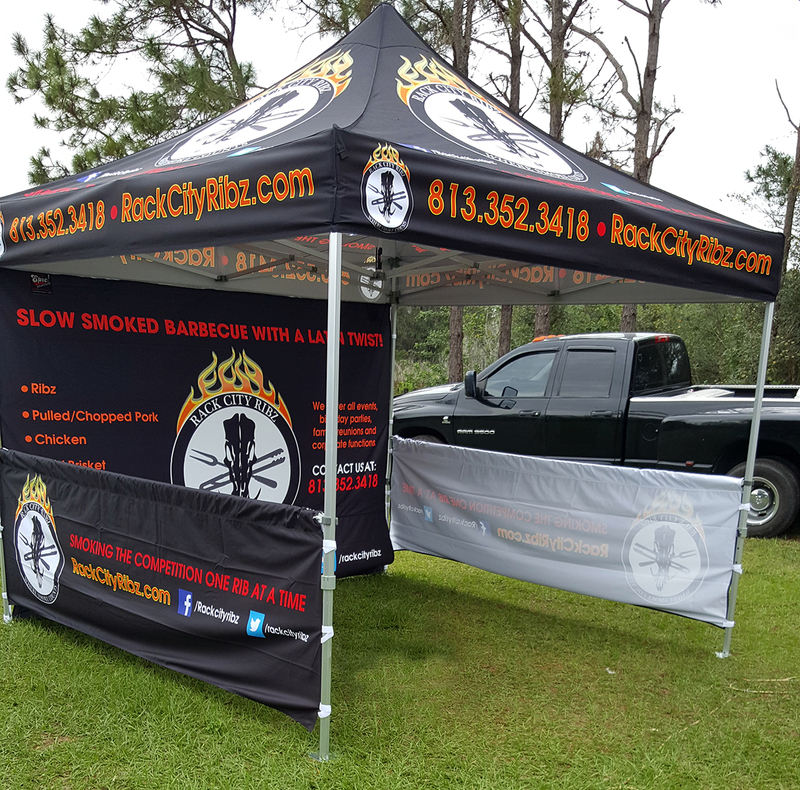 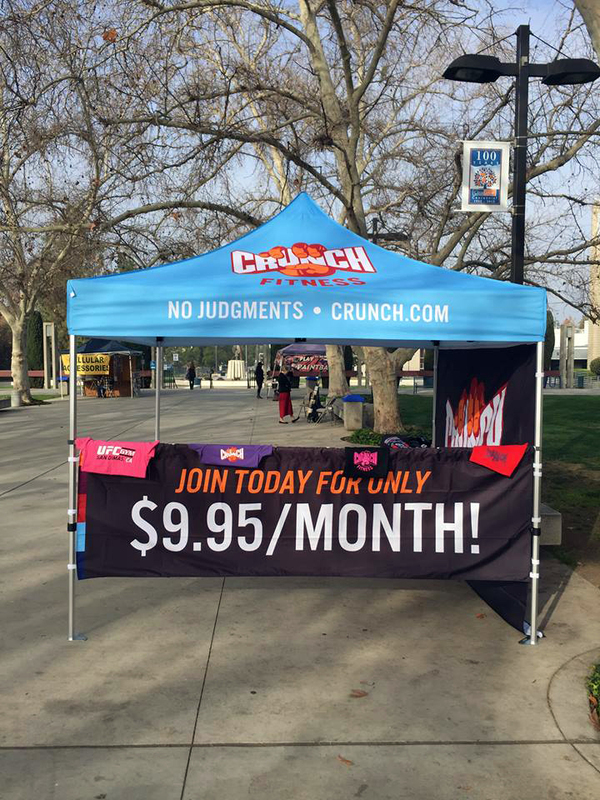 We have revolutionized the way custom EZ UP tents with printing are made, and have brought these products to a whole new level. 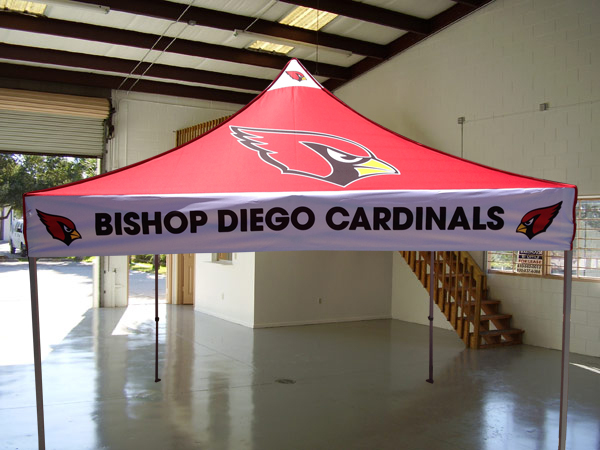 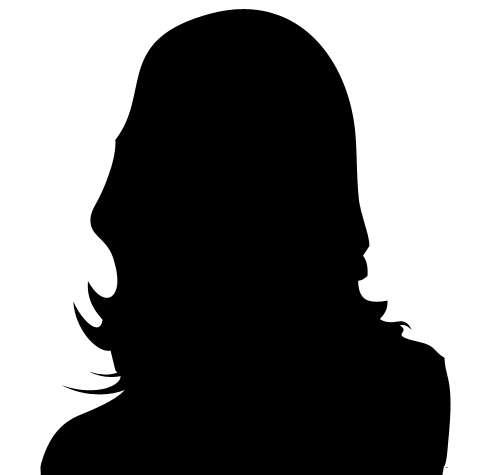 coated polyester available and print in full color with the latest heat transfer technologies. 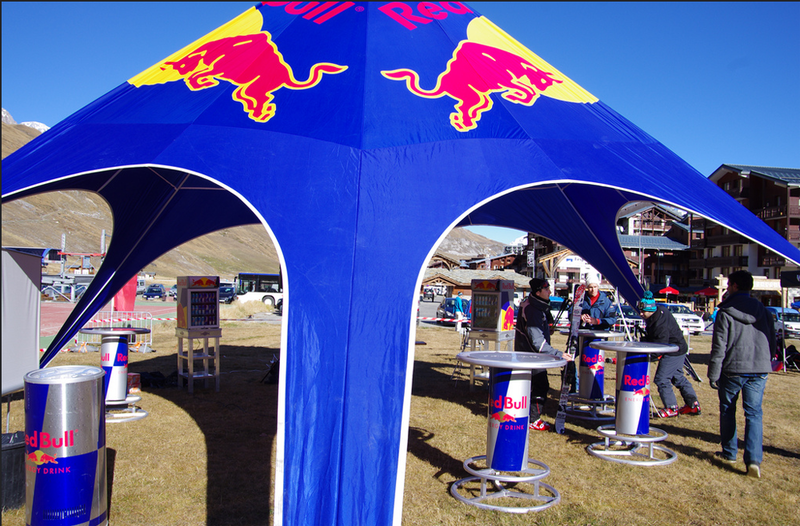 Not only is our printing a step above from the competition, but so are our premium pop-up tent frames. 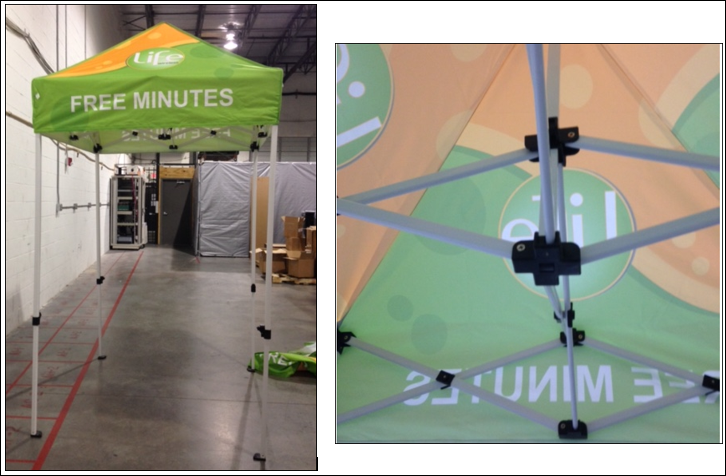 With several series of frames to choose from, you will be set-up with the right fit for your event or locations needs. 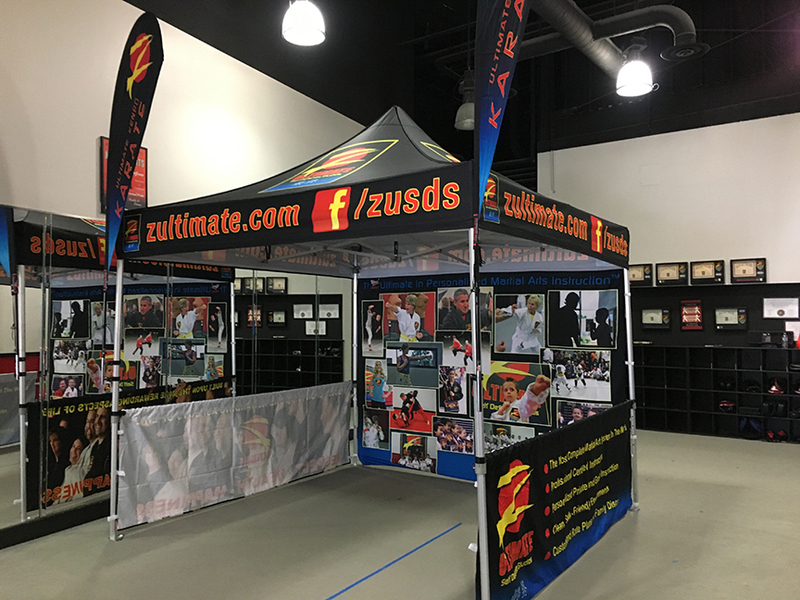 All of our frames are a huge step up from the standard ez~up style of frame, going all the way up to our flagship Aluma-Hex series frame. 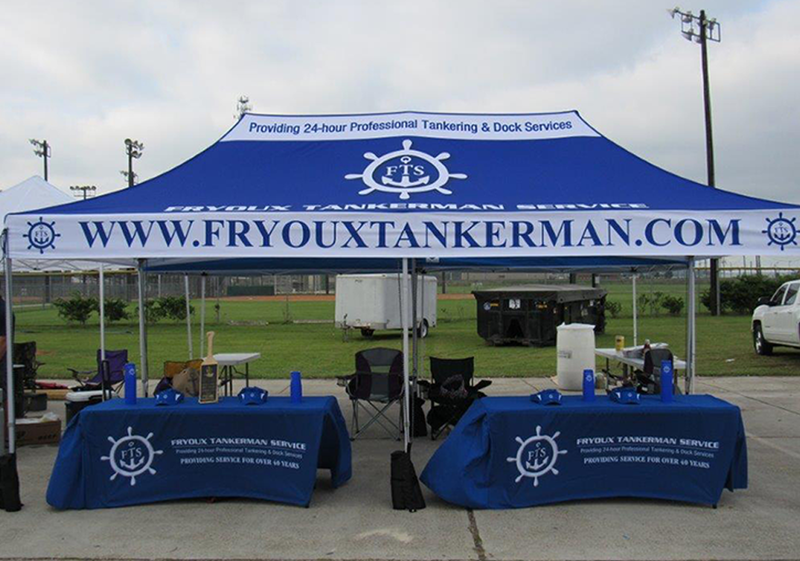 Whether you are in need of a traditional shaped event tent, kiosk tent, dome tent, or inflatable tent, we make the style that will fit your needs. 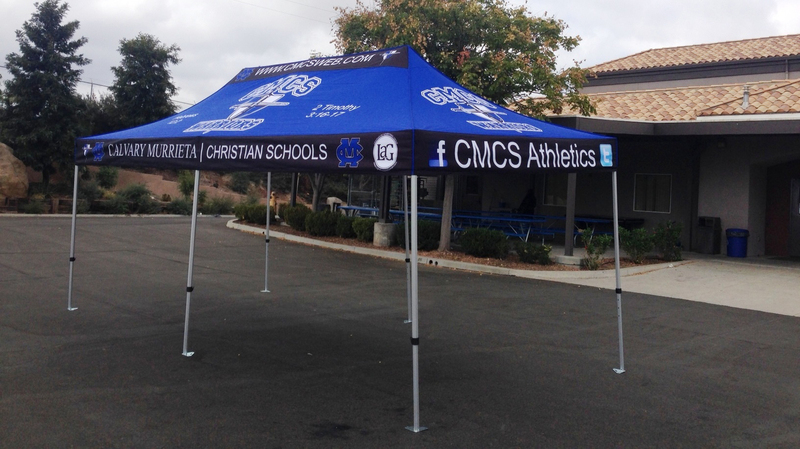 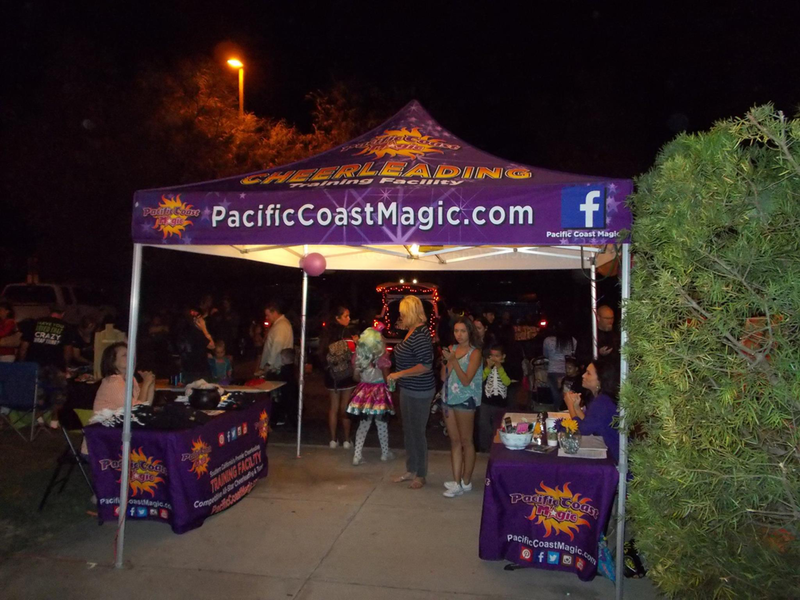 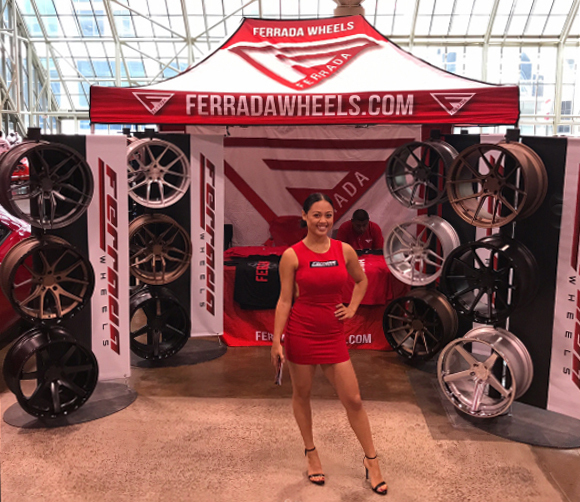 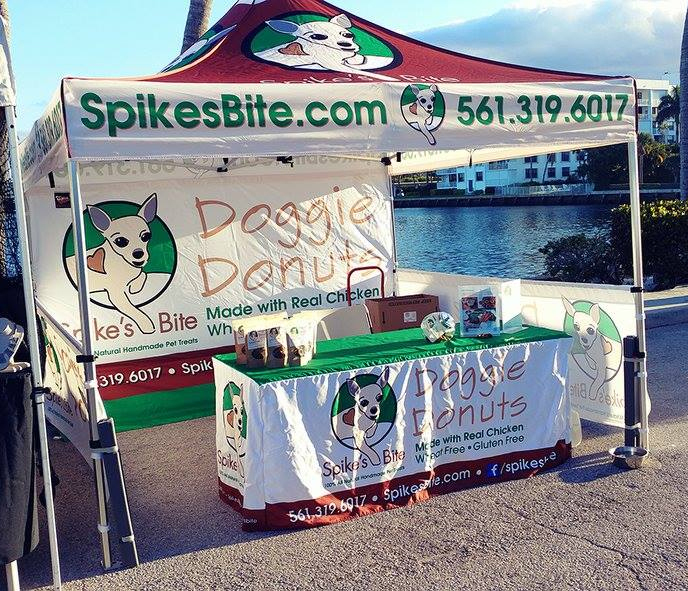 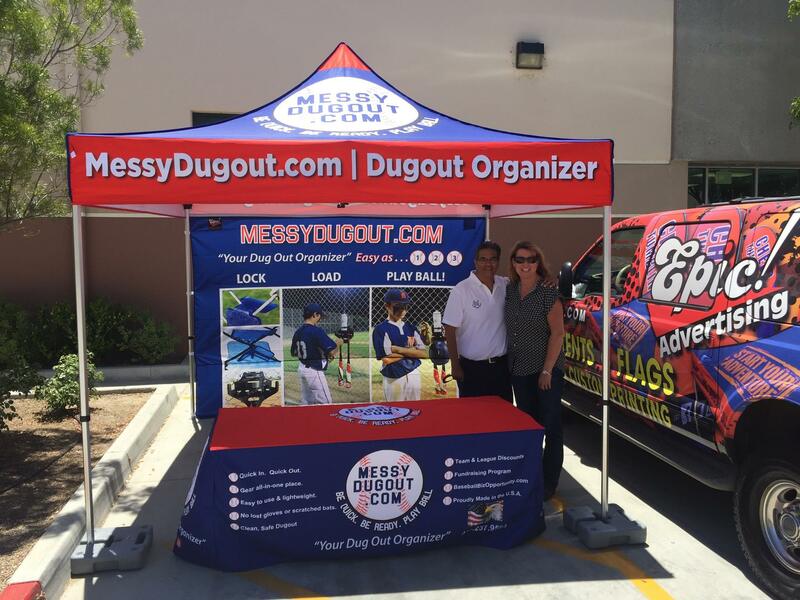 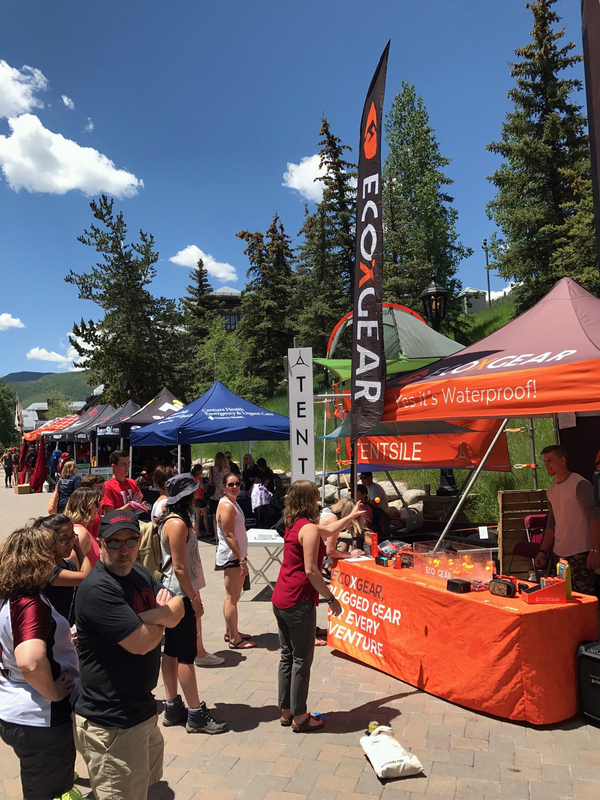 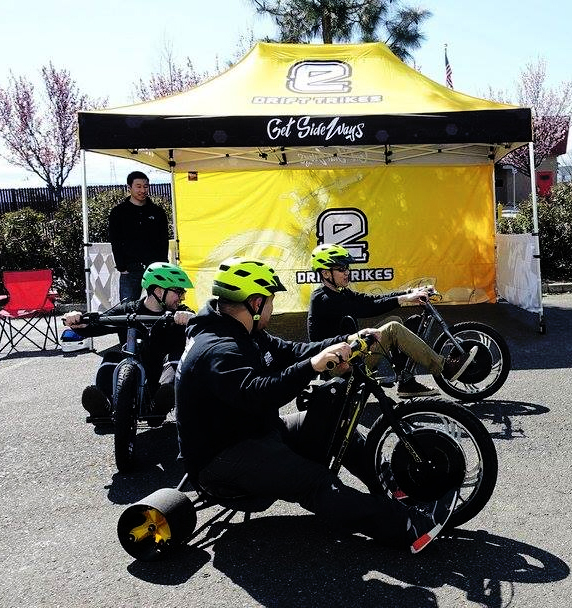 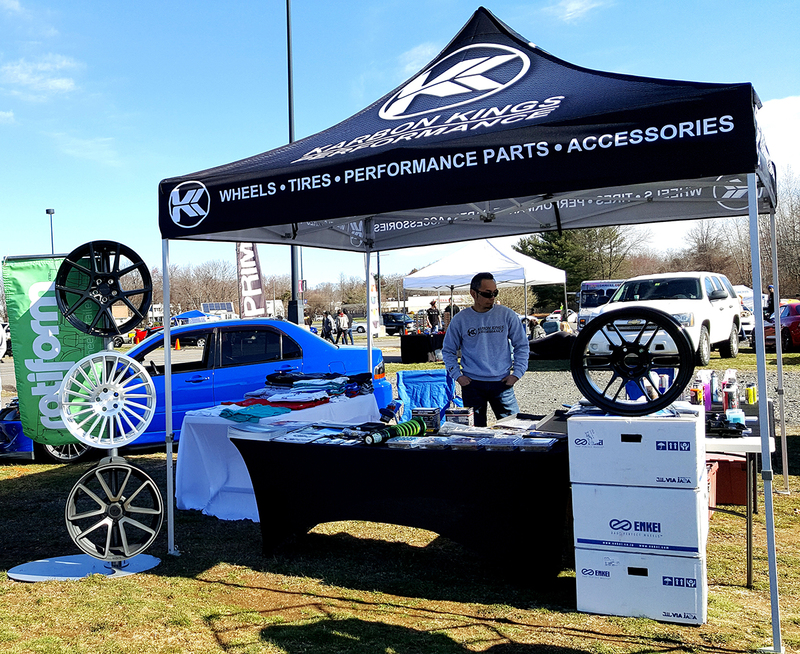 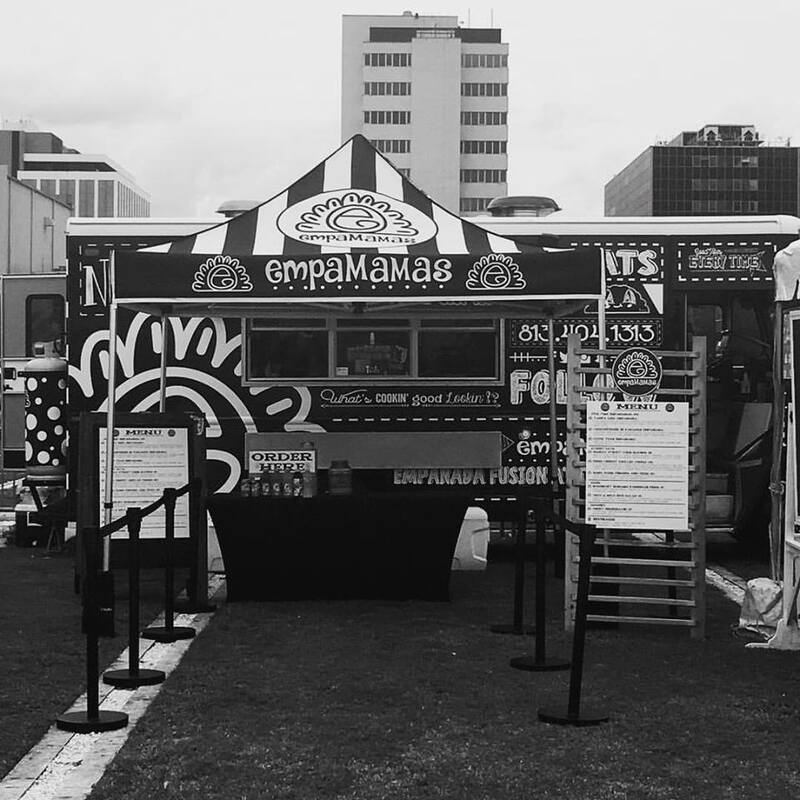 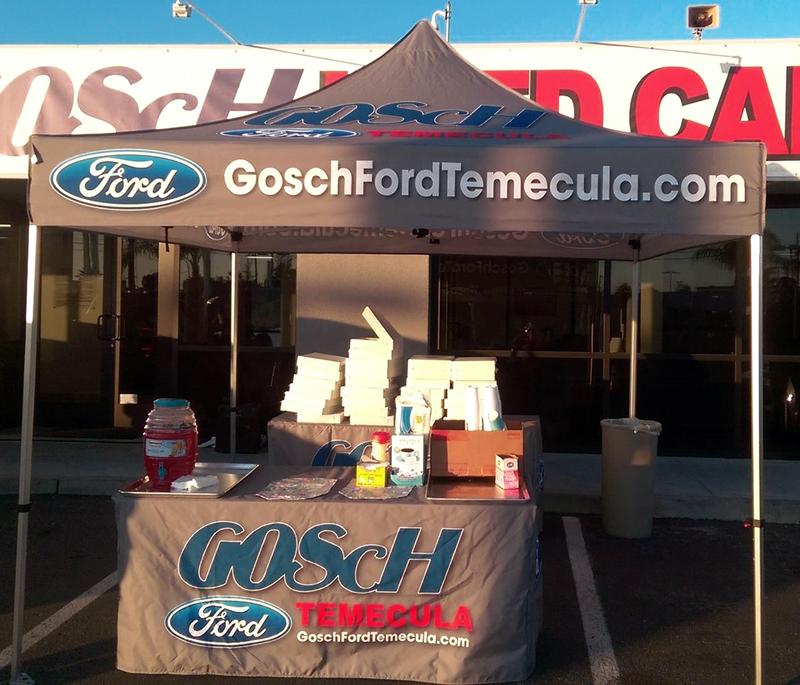 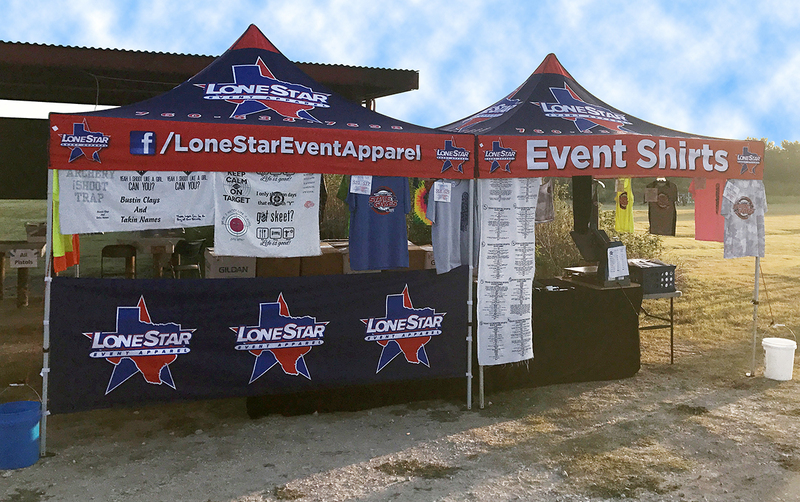 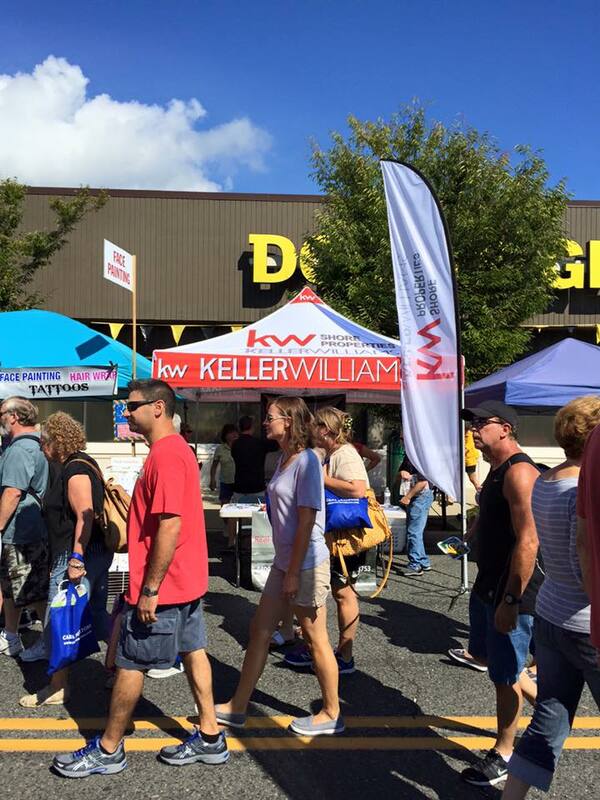 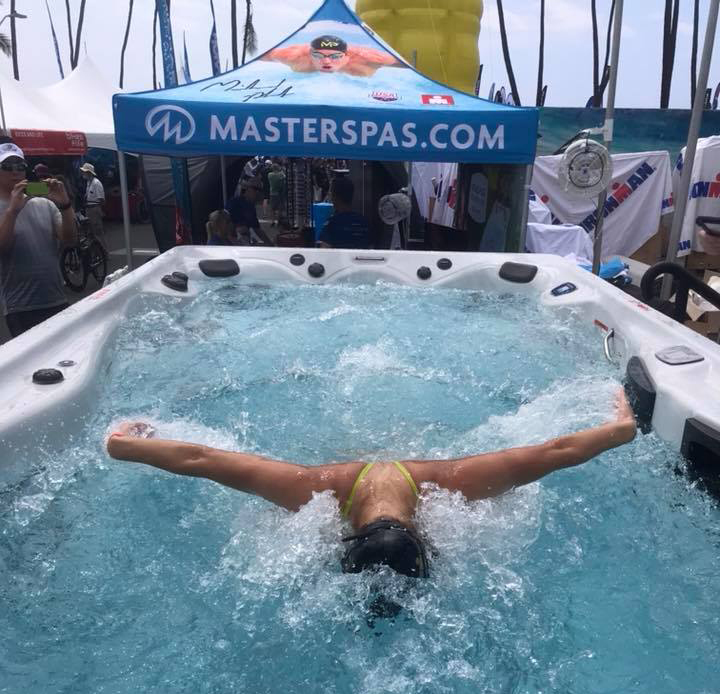 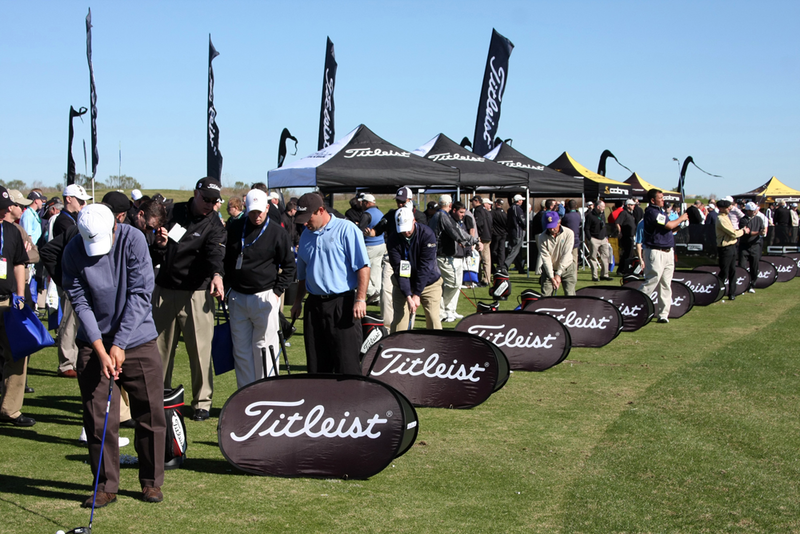 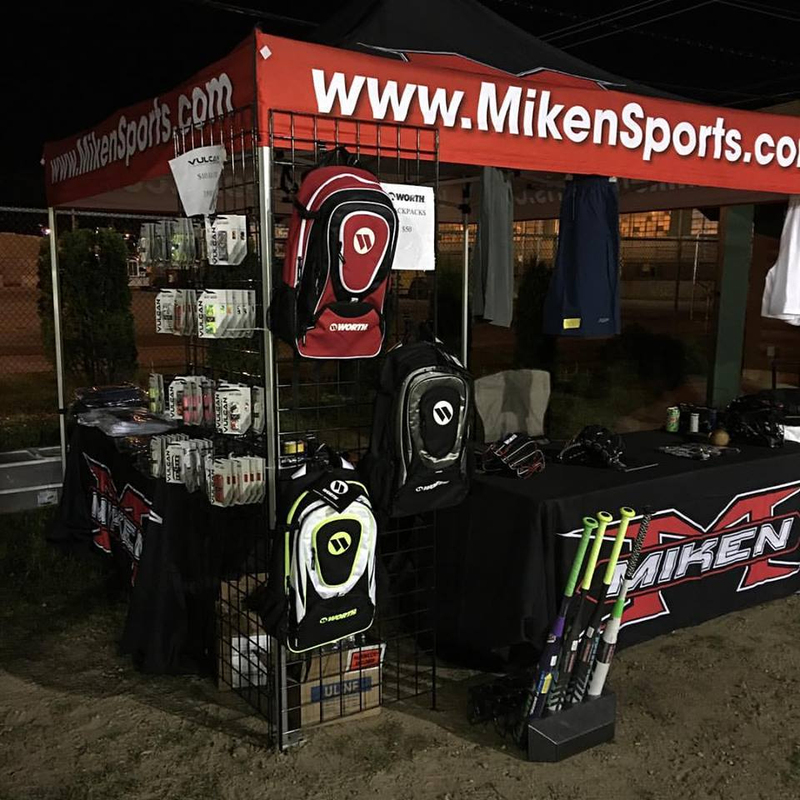 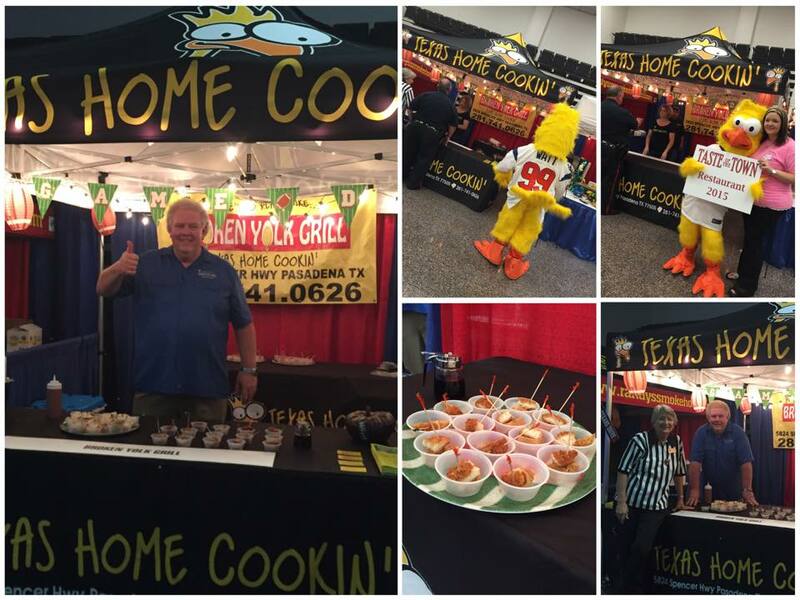 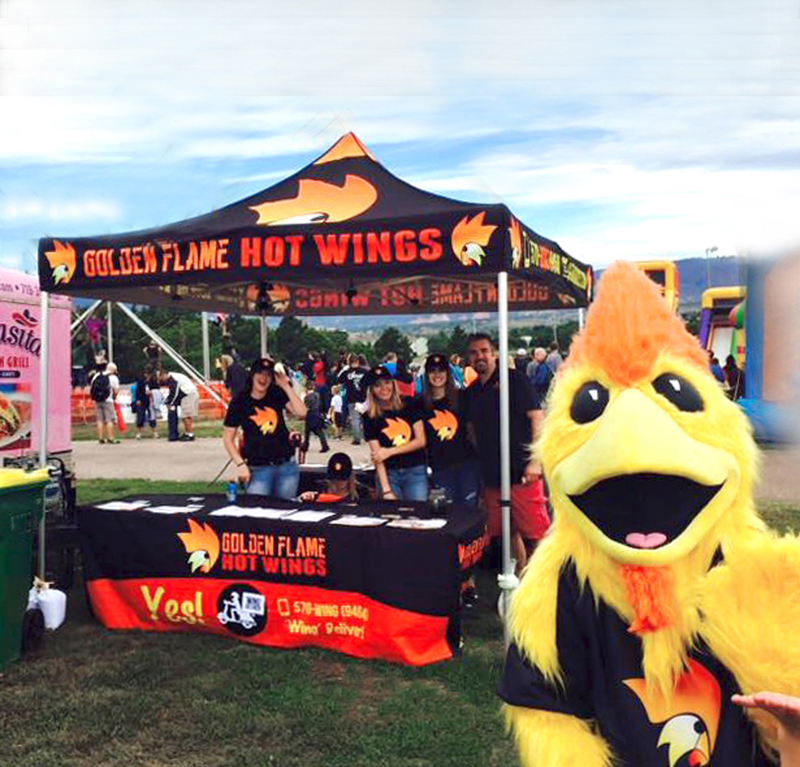 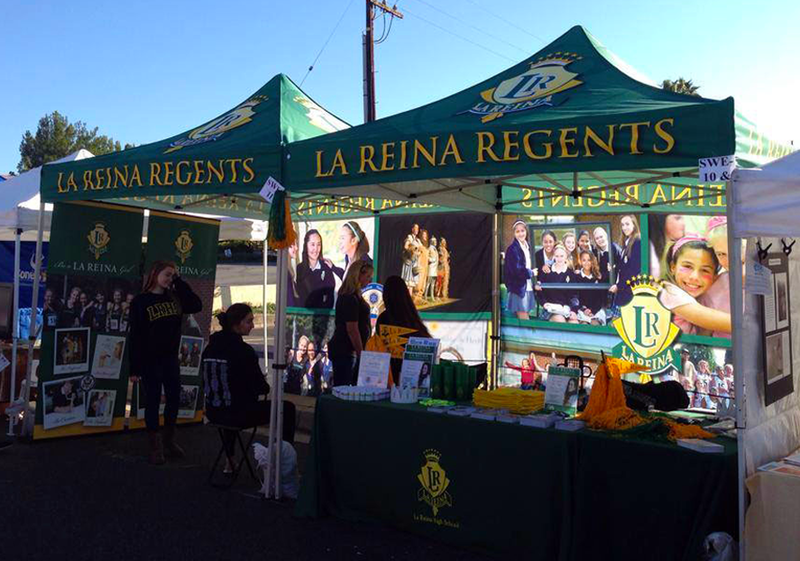 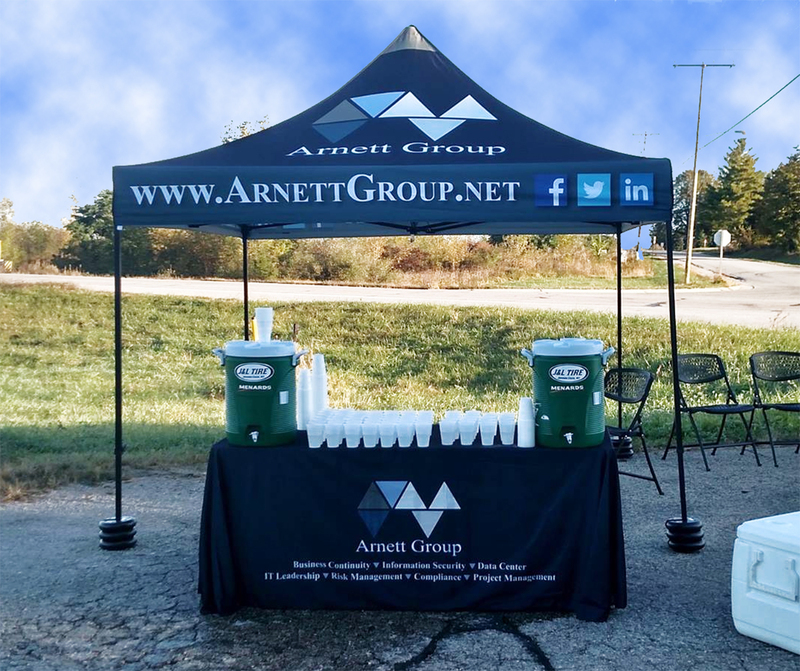 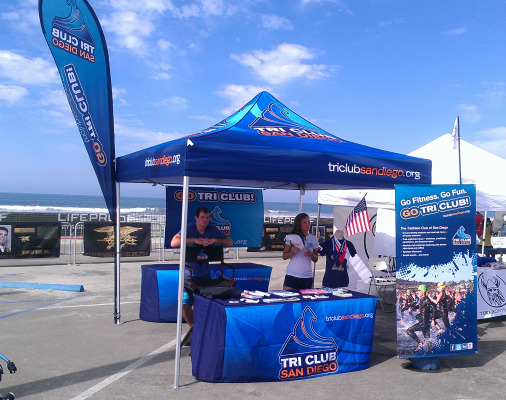 Commercial grade tent sets are our specialty, and we look forward to working with you on creating branding, visibility, and excitement for all your future events.